In the age of electronic media and social messaging apps, the charm of handwritten letters and note is even more special. At such a time, Salman Khan presents NOTEBOOK. Although it is based in time period of the last decade, it is not exactly a period film and talks about some of the relatable issues of Kashmir, and also of the matters of the heart. So does NOTEBOOK manage to entertain and touch a chord among the viewers? Or does it fail to do so? Let’s analyse. NOTEBOOK is the story of the bond that develops between two lonely teachers without even meeting each other. Kabir (Zaheer Iqbal) is based in Jammu and has quit the Army following a traumatic incident. He is called to Srinagar by an acquaintance who recommends him to join a school started by his father in Wular. The school’s only teacher Firdous (Pranutan Bahl) has quit the school just some time back. With no other teacher there, Kabir agrees to join. Wular is located in a remote town and the school is built in a rundown houseboat. There are only a handful of students around and Kabir starts teaching them. In the drawer in the teacher’s desk, he finds a notebook written by Firdous. She has written her thoughts, fears, insecurities, strengths etc. while she was teaching in Wular. It helps motivate Kabir and he also falls for her. Also, the manner in which the students speak highly of her makes it clear that she’s a kind-hearted person. Firdous also mentions in her diary that she is having an on-off relationship with a man called Junaid. Moreover, one day the school is hit by a storm during which Firdous’s notebook falls in the water. Kabir tries to save it but fails. What happens next forms the rest of the film. NOTEBOOK is the official remake of the 2014 Thai film TEACHER’S DIARY [Directed by Nithiwat Tharatorn; story and screenplay by Nithiwat Tharatorn, Sopana Chowwiwatkul, Thodsapon Thiptinnakorn and Supalerk Ningsanond]. Darab Farooqui’s adapted screenplay comes across as inconsistent. The script had to be watertight in this film keeping in mind the loopholes in the plot. Sharib Hashmi and Payal Ashar’s dialogues are fine and work well within the context of the film. Nitin Kakkar’s direction is poor, which is shocking considering how well he had executed his previous films, FILMISTAAN  and MITRON . The first sign is seen in the opening scene itself depicting Kabir suffering from the horrors of his past. However, this bit is shown just once. Ideally, the director should have shown it multiple times that he’s getting flashes of the horrendous episode he suffered when he was in the armed forces. Secondly, an action scene is needlessly forced in the first half and it serves no purpose. NOTEBOOK is a niche, multiplex-type urban film and the masala fight sequence looks so out of place. In fact, this niche appeal is also an issue as audiences might not get exactly the gist of some scenes. Take for instance the scene where Kabir reaches Delhi Public School to find Firdous. It is not clear at this juncture whether he managed to recognize Firdous. If he did, it’s bewildering why he didn’t talk to her. If he didn’t, then why didn’t he ask around in the school about her whereabouts. Lastly, it is laughable to see that Kabir never reads Firdous’s book fully. He’s reading just few pages each time. Note that he’s in a remote town and he has no other means of passing time. Also, he has fallen crazily for this girl. In such a situation, anybody in his place would have read the notebook in one go. But Kabir doesn’t and it’s only a few months later that he realizes that she has also written about her marriage! Due to such silly sequences, the impact goes for a toss. NOTEBOOK is around two hours long but moves at a snail’s pace. The introduction part is engaging and the manner in which the school is depicted initially is intriguing. One can actually feel that the school is located in the middle of nowhere. Kabir trying to adjust to his new surroundings makes for a fine watch. The sequence of Kabir making friends with the kids is okay as the humour seems forced. The best part of the first half is however when Kabir catches his girlfriend Dolly cheating. The use of the song ‘Accha Sila Diya’ adds to the fun. The intermission point is quite arresting. Post-interval however the film falls. Kabir could have easily met Firdous by making enquiries but the makers don’t allow that to happen. Hence, it seems very unconvincing. Also, the film deals with too many topics like terrorism in Kashmir, exodus of Kashmiri pandits, importance of education for Kashmiri children etc. These tracks however are more interesting than the principle plot and that’s not good news for a film that is essentially a love story. The film ends on a fine note but it’s too little, too late. NOTEBOOK rests on some fine performances with both the debut actors doing an excellent job. Zaheer Iqbal is quite sincere and genuinely does a good job. Despite his tough look, he plays the vulnerable part very well and comes across as quite endearing. 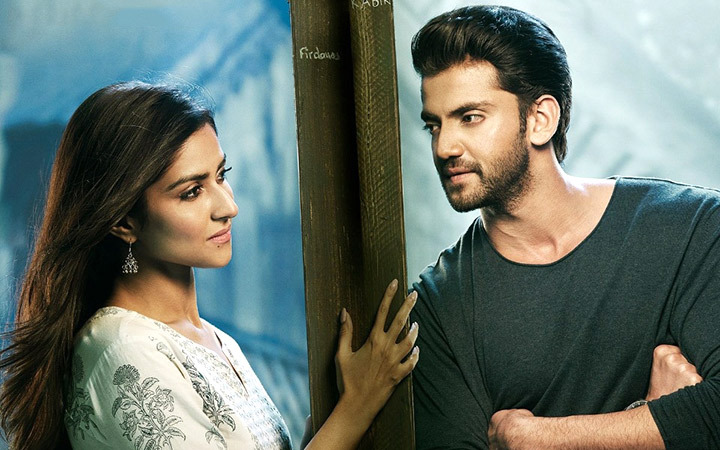 Pranutan Bahl is stunning and has a supreme screen presence. She delivers a first-rate performance and can definitely make a mark in Bollywood, provided she signs some well-written films. From the kids, Mir Mohammed Mehroos (Imran) has an important track and is a natural. Soliha Maqbool (Shama) is most adorable. The others - Mir Mohammed Zayan (Tariq), Baba Hatim (Waqar), Adiba Bhat (Dua) and Hafsa Ashraf Katoo (Iqrah) also put their best foot forward. Mir Sarwar (Iqbal’s father), recently seen in KESARI, is fine. Zahoor Zaidi (Hameed Chacha), Mozim Bhat (Junaid) and Farhana Bhat (Dolly) are decent. Vishal Mishra’s music is melodious. 'Nai Lagda' is the best song of the lot and is also picturized well. 'Bumro' is peppy although it comes up all of a sudden. 'Main Taare' comes next though Salman Khan’s voice doesn’t come across properly at a few places. 'Safar' and 'Laila' are forgettable. Vishal Mishra’s background score is as per the film’s theme. Manoj Kumar Khatoi’s cinematography is stunning and captures the remote Kashmir locales beautifully. Urvi Ashar Kakkar and Shipra Rawal’s production design is rich. The entire school-in-houseboat bit is fascinating. Sanam Ratansi’s costumes are appealing. Shachindra Vats’s editing could have been tighter. 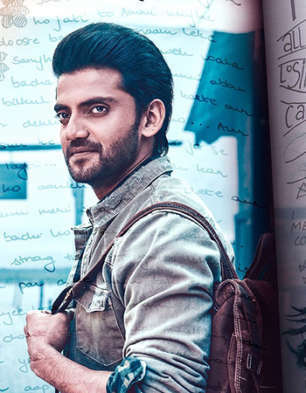 On the whole, NOTEBOOK boasts of exemplary performances by the debutants and is beautifully shot while stressing on the importance of education. At the box office, the film would appeal only to multiplex audience.